Ko en Angelo kwamen voor ons uit op de Veluwe open, een tournooi dat dit jaar voor het eerst werd georganiseerd door vrienden van het RGC team uit Ede. 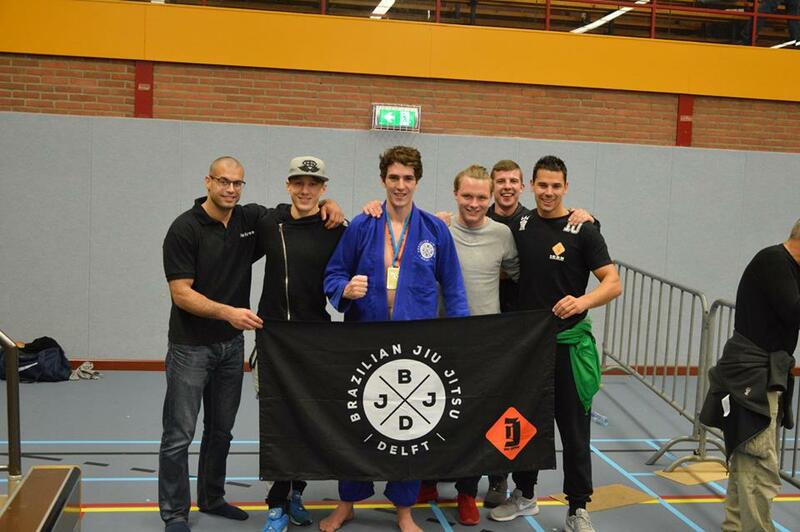 Zaterdag 20 januari deed een groep van ons team mee aan de Rotterdam BJJ & Grappling Open. Een goed georganiseerd tournooi lekker in de buurt dus perfect om ervaring op te doen. 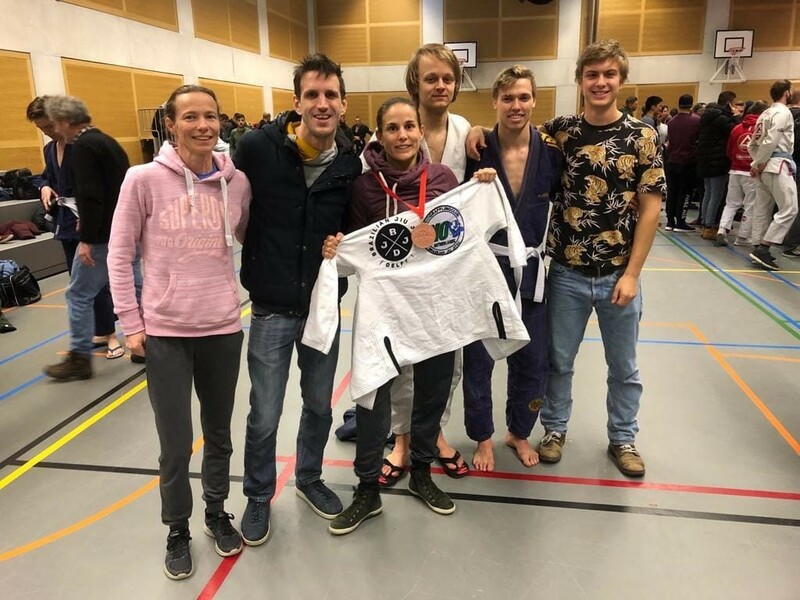 Bij het BJJ wist Marie een derde plek bij de blauwe banders te bemachtigen op haar eerste tournooi! Te gek. Bij het grapplen was Damian weer terug en pakte gelijk de eerste plek. Djamil kwam in het grappling voor ons uit en pakte een prachtige eerste plek. 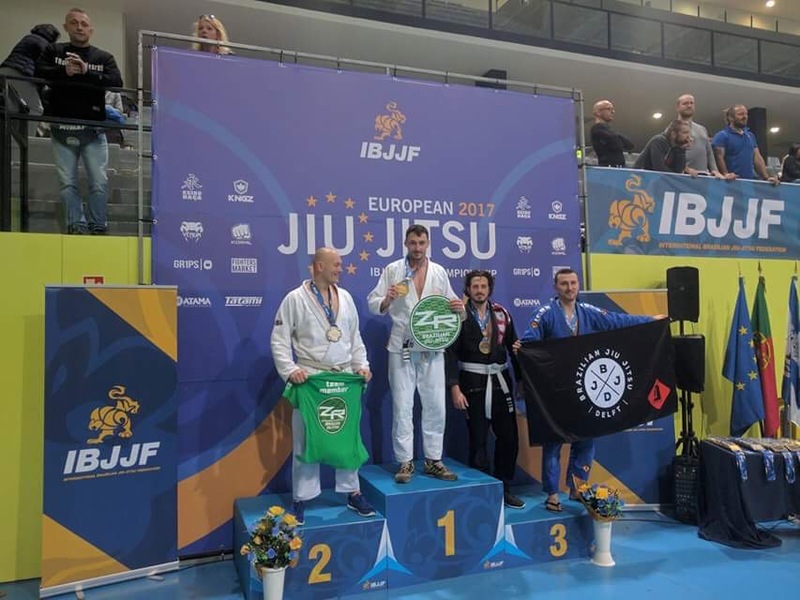 Wederom reisde er een aantal teamleden af naar Lissabon om mee te doen met het Europese Kampioenschappen van de IBJJF, een van de grootste toernooien ter wereld. 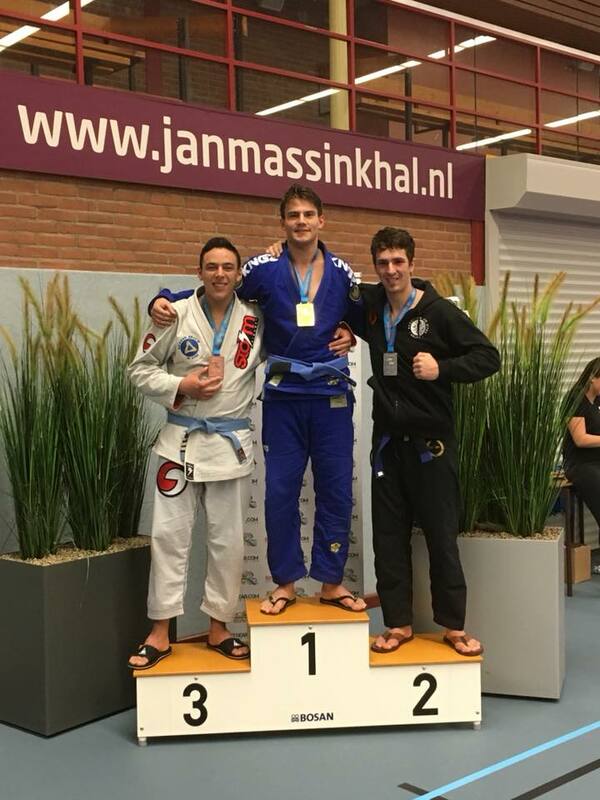 Angelo, Seger en Lars deden voor het eerst op dit zware tournooi mee in de blauwe banders klasse. Ze zaten goed in de wedstrijd en wonnen alledrie hun eerste partij. Helaas kwamen ze daarna hun meerdere tegen, ook al zaten ze allemaal lekker in de wedstrijd. Ernst, een ervaren bruine bander uit ons team, wist in zijn eerste partij een sterke Braziliaan te submitten. Helaas verloor hij zijn volgende partij op twijfelachtige manier en kon daarmee helaas niet een podium plek bemachtigen. Mooi te zien dat we goed bezig zijn en zelfs op zo’n prestigieus tournooi sterk aanwezig te zijn! 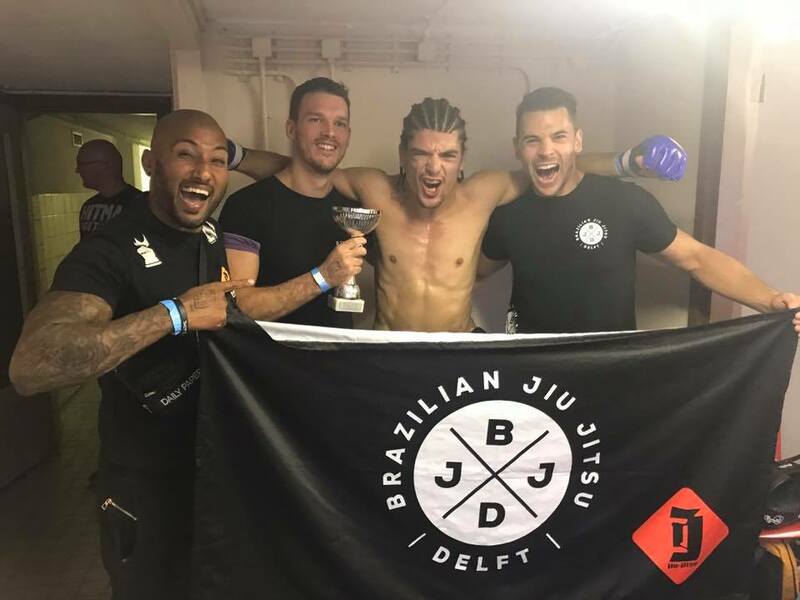 Het nieuwe jaar begonnen we met een centrale training in Delft van Rio Grappling Club Nederland scholen in een vorm van een gastles van wereld kampioen Thiago Abreu. De opkomst was veel belovend voor het nieuwe jaar! 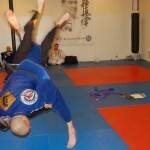 From now on we have added two fundamentals classes to our training schedule on Tuesday and Saterday. The Wednesday class will become and advanced technique training. 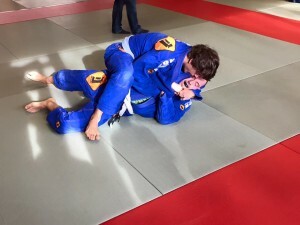 With the addition of these classes we aim to have a better focus on the right techniques for every belt level to obtain optimal progression. 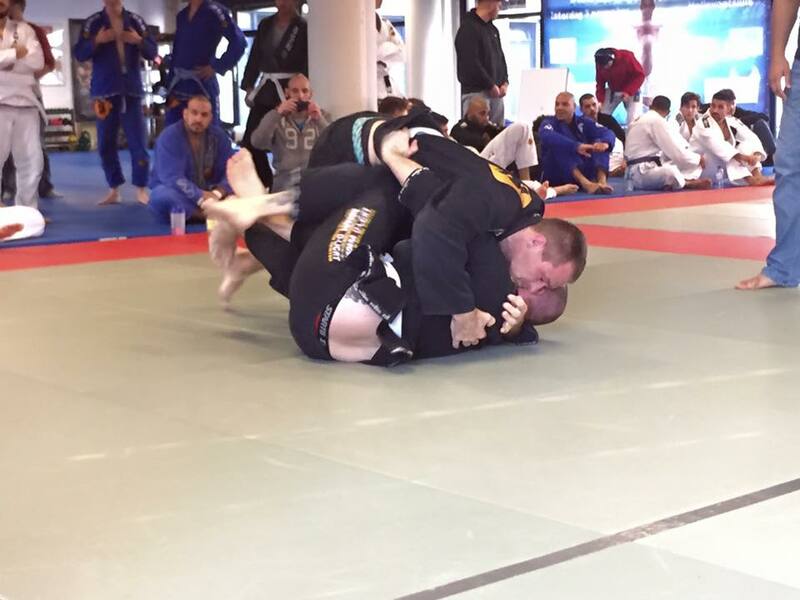 At the Rotterdam Open we participated with quite some new guys starting to compete. A great experience of which they have learned a lot and from here will have to work their way up in their devision. 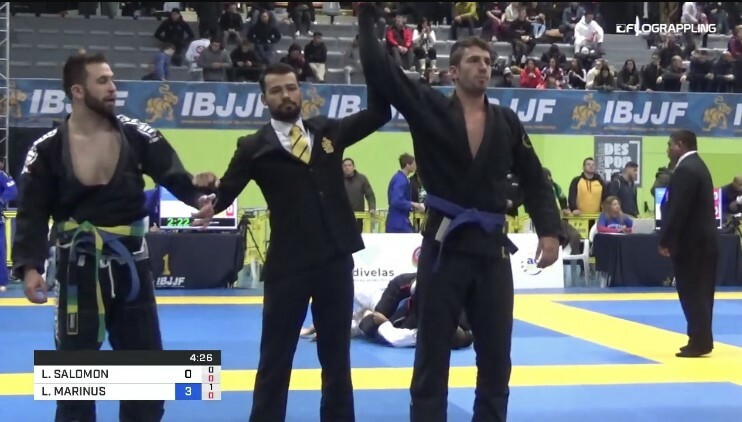 Angelo Buter a relatively new Blue belt competed in both the BJJ competition as well as the Grappling tournament on the same day and managed to become second with Gi and first No-Gi. A great result after investing a lot of hours on the mat! Two team mates Piotr and Giac, went to the Breda open. 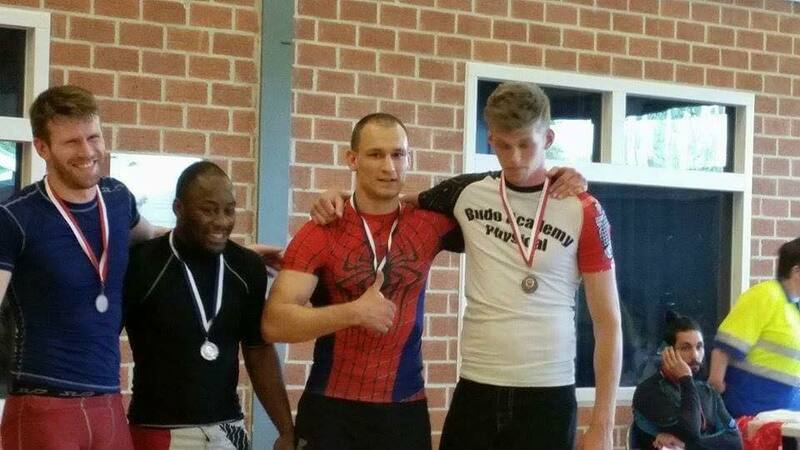 Both ended up in top 3 with a gold medal for Giac and silver for Piotr! 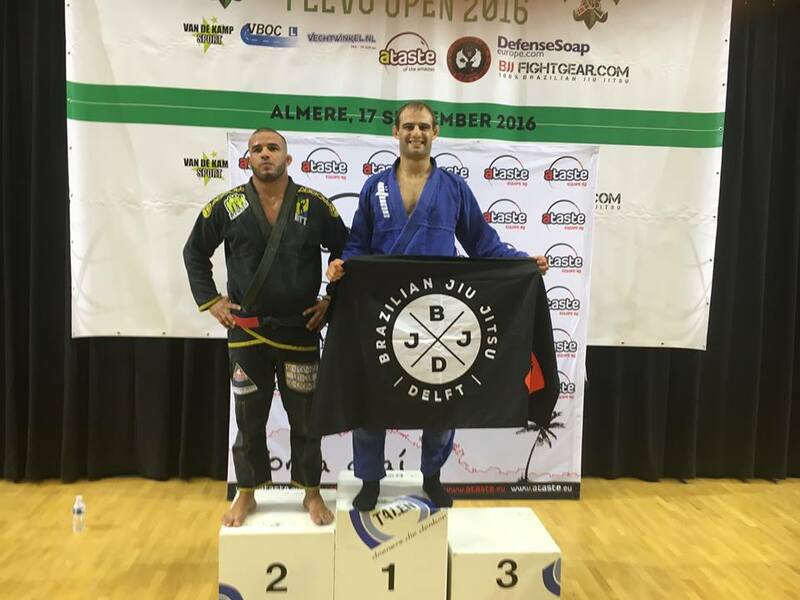 The Dutch open of 2017 was again a great tournament and still one of the most important tournaments of The Netherlands. We were present with our team to complete, however unfortunately the number of guys competing of our team was limited due to some injuries and personal obligations. 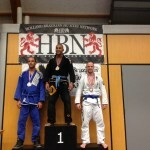 Lars competed for the first time in the always very tough blue belt category and managed to get a second place! 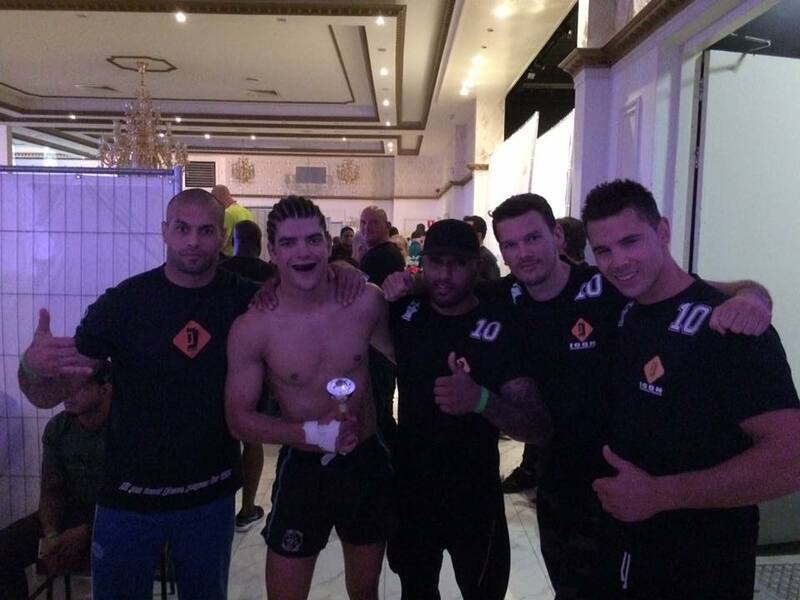 Kalle dominated his MMA fight at fight club Den Haag and won by submission in the second round. Great fun and proud to see such a group of guys together! 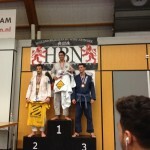 The weekend of 11 and 12 February two separate competitions were organized by HBN in Rotterdam. 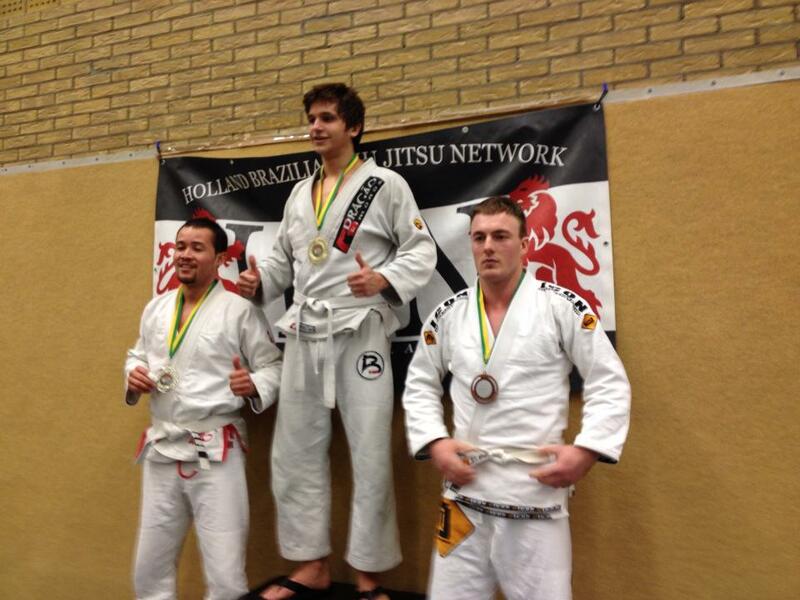 First the Submission Only tournament on Saturday followed by the BJJ and Grappling tournaments on Sunday. 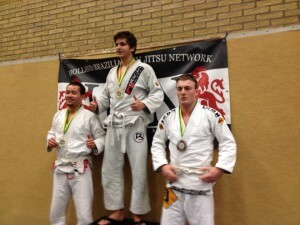 Brian got first in the submission only tournament at the elite class. The next day Seger got second, just like Kareem. Nick competed at the white belts for the first time and managed to win his first match on a tournament which is a great way to start competing. 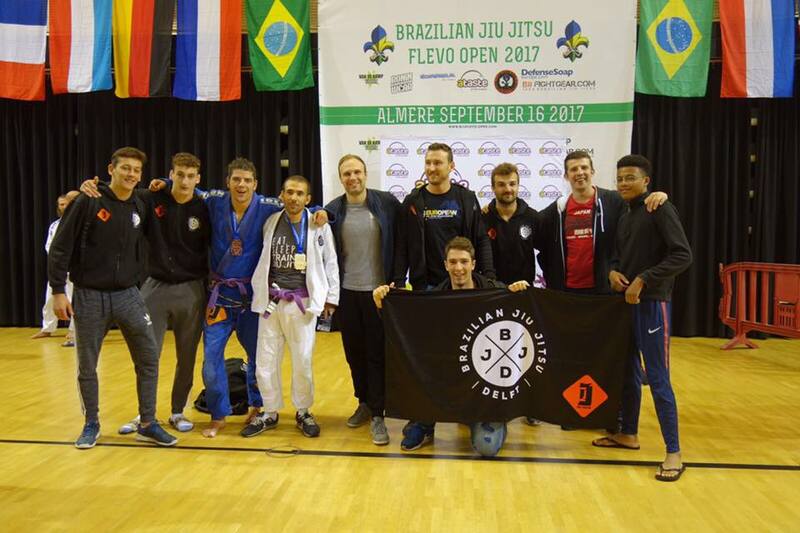 This year our team went with 11 competitors to the Europeans in Lisbon. Besides the competitors 2 other members joined to support the team en enjoy the event. First of all i want to congratulate all guys participating on their great performance. 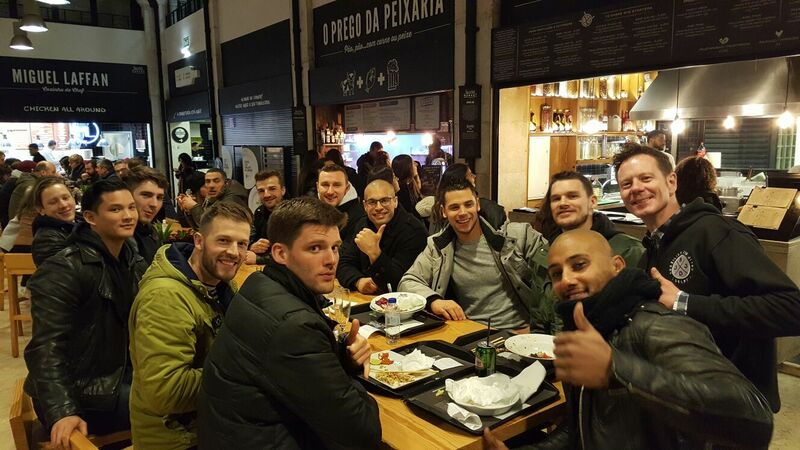 Even though 2 of the 10 competing guys came back with a medal, i think you all prepared with great dedication by training hard on the mat, fitness gym, keeping to a healthy diet and leaving may other things to prepare for this tournament. The Open Europeans is a very large tournament with people from all over the World competing at the top level. All are very well trained and prepared so every match is a final by itself. Danny Buter got a first place at brown belts masters 4 and Piotr a bronze medal at the beginners masters 1 devision. 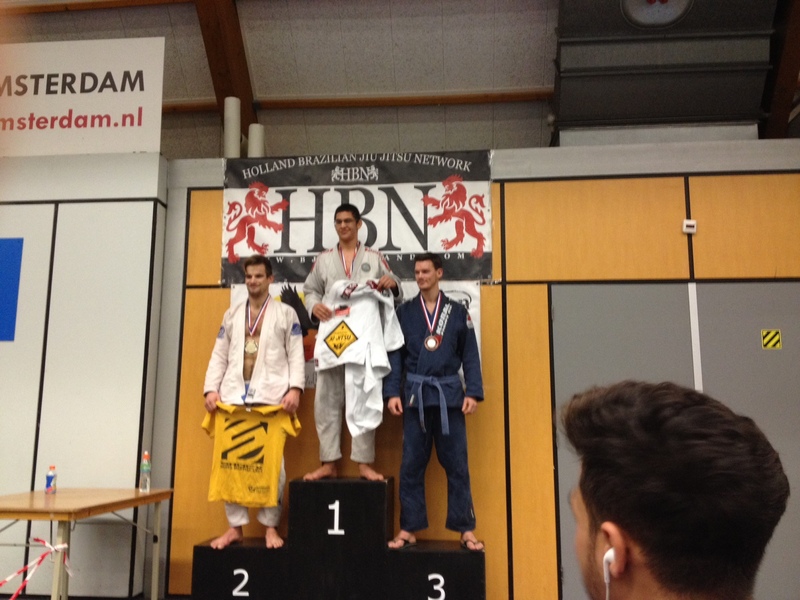 Again all others were competing well at the tournament level, but this time unfortunately no other metal to bring back to holland. Great performance of all after another intense year of preparation. 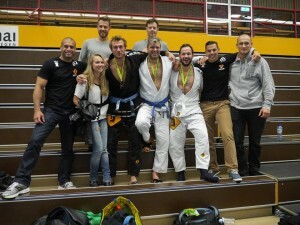 As the last preparation for the European Championships the guys competed at the Norht Netherlands Champion ships BJJ. 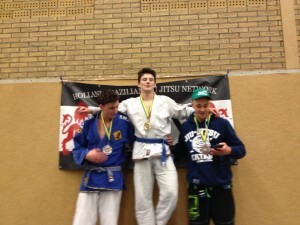 Milan got second and Lars first! 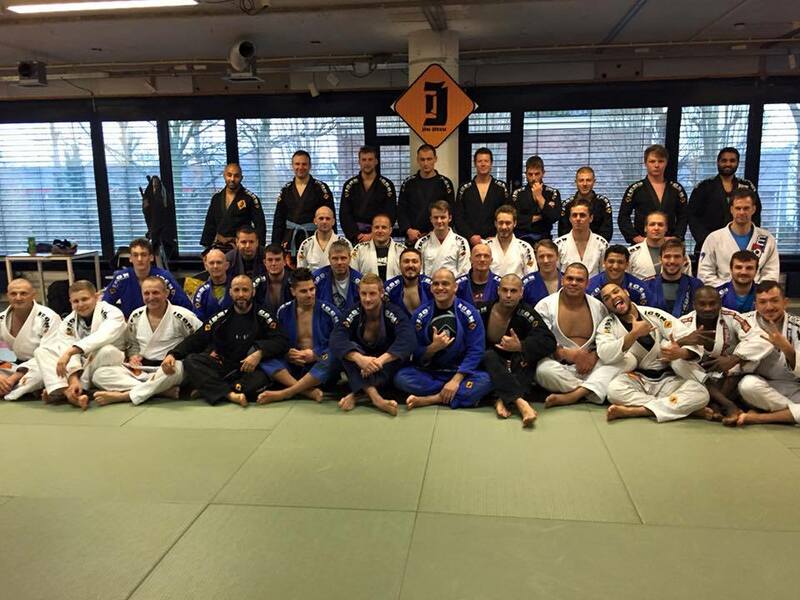 The team is keeping the competition ritm and a month after the Dutch Open the Amsterdam Open was planned. Some participated in BJJ, some in grappling or in both tournaments on the same day. 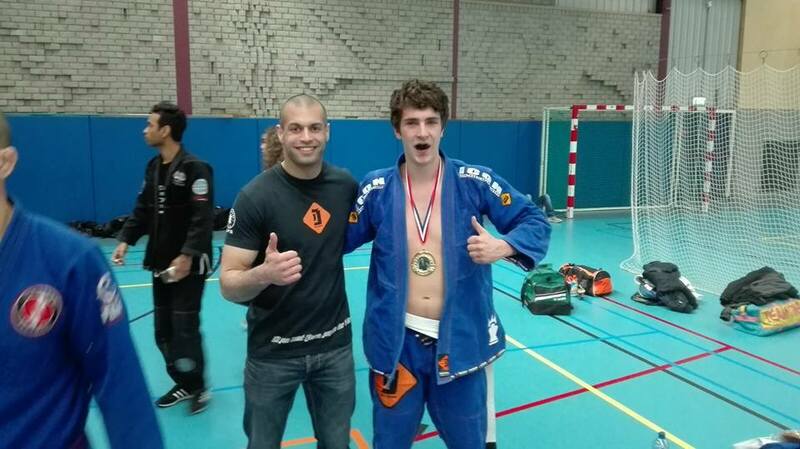 Thijmen got third in a though blue belt category. 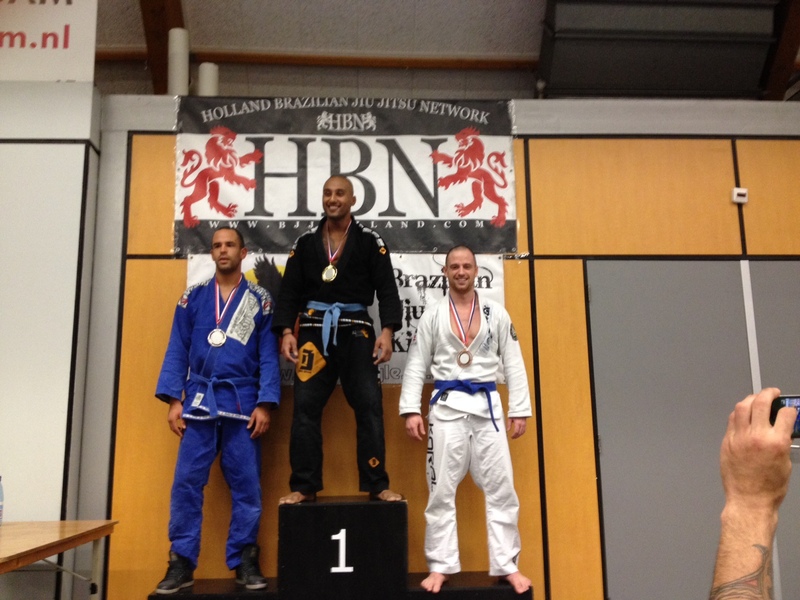 Lars got first again winning the title of best white belt fighter of HBN tournaments over 2016! 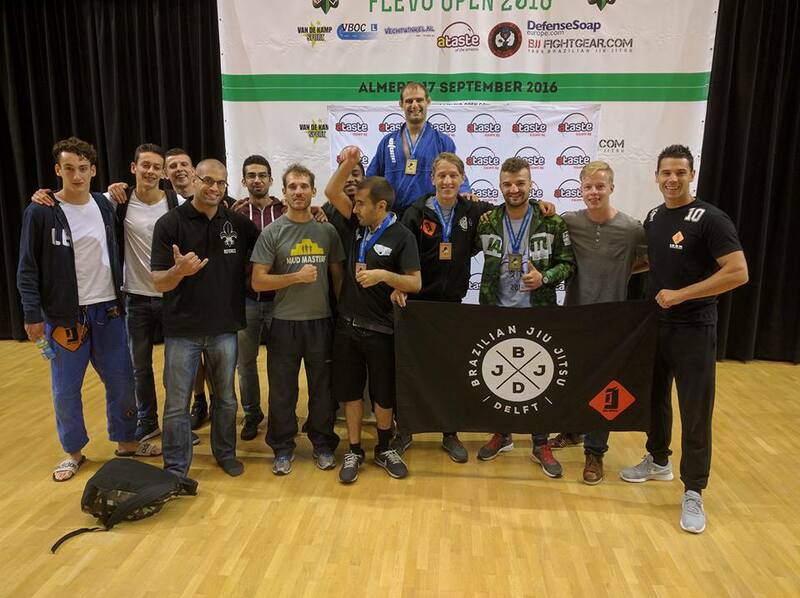 The largest Dutch tournament, The Dutch Open, was also on this years list for our team and we participated with quite some guys. 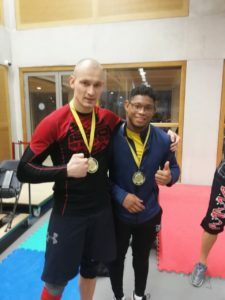 Lars managed to get a first place again at the white belts devision. 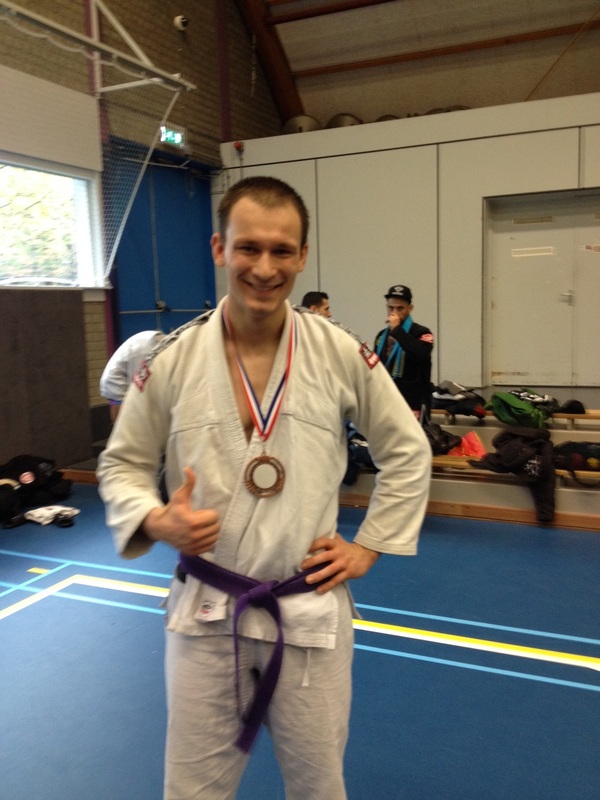 Giac a second place at the purple belts. Vacation schedule…what is that…full mat!! Danny Buter, Ernst van Bruggen and Guy van Polanen! Additional to that we admire the great number of team members present on the seminar to learn new technique, meet other Icon teams and support the high belt graduates! 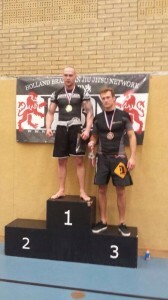 A successful day at the Rotterdam BJJ Open and Grappling tournament. Impressed by the progression the team is making ending up with some great results. 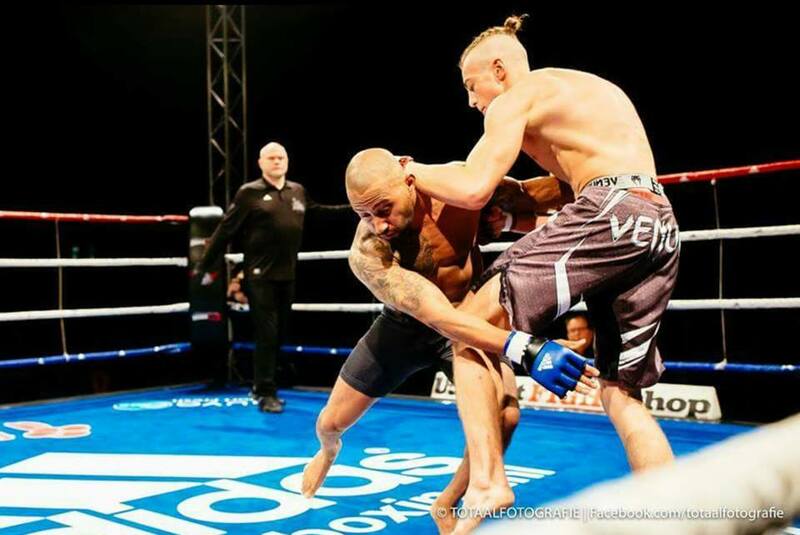 Kalle Nijs win by TKO in round 1!! Perfact example of preparation followed by execution! 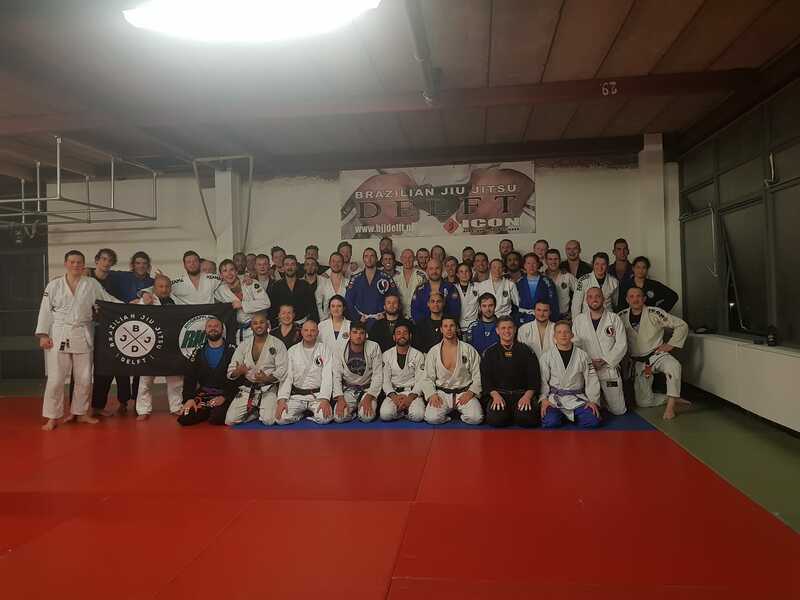 Another great seminar with legend Braulio Estima. Every time we all are impressed by his technique and teaching skills. 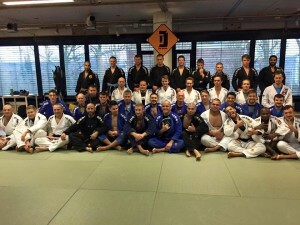 which shows how open the BJJ community in holland is. 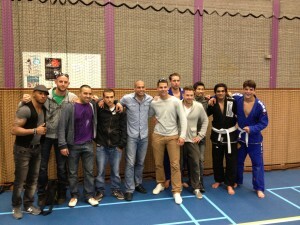 today the Den Hague Grappling Trounament & BJJ Open were a great succes for our team. 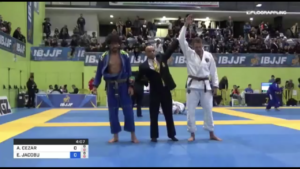 In the morning the competition of BJJ started and i have seen only great matches where lots of goals were achieved! Competitions are part of progression and are a point for evaluation. My conclusion is that we are progressing in the right direction. Really enjoyed your matches. 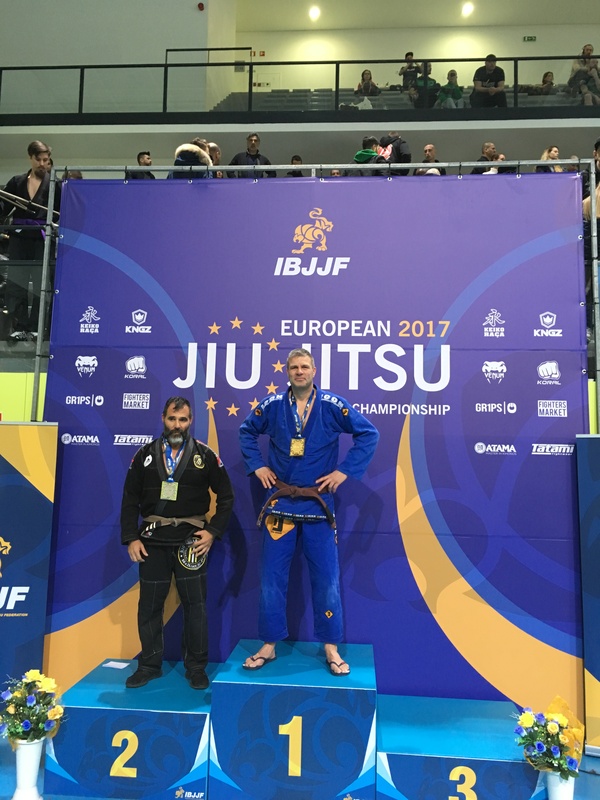 For Lars Langhorst all weeks of hard work came together as he showed to have owned the basics to earn a gold medal in his devision. 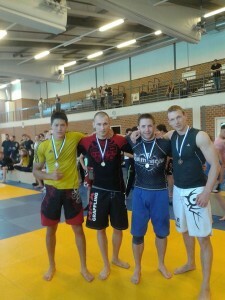 During the grappling the guys competed extremely well again. 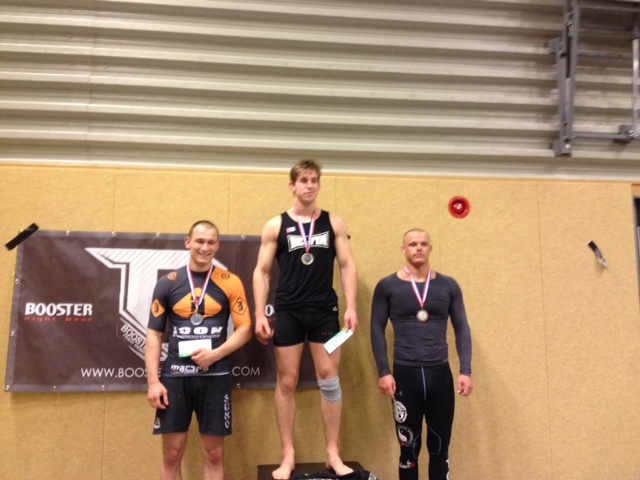 Pieter de Lange who competed in the morning at BJJ got a second place in grappling. It requires a strong mind to refocus for a second competion on the same day. 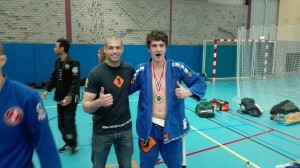 Niels de Wit is an example of a hard worker during trainings and competitions and got third. Rodger Fabian found his game again and got first! Still has it! 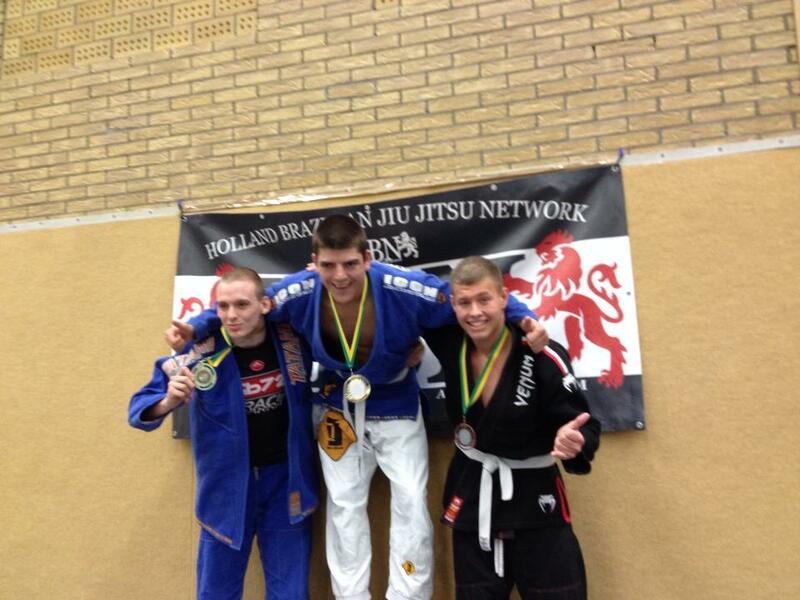 Damian Sroga got first again after having won the NK grappling about a week ago….collecting gold! Proud of the whole team! All guys that competed really made my day. Finally; many thanks to all team members that came in their family time to support the team! 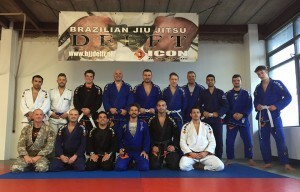 Even though it was organized last minute, we had a great seminar with Gabriel and Adriano. 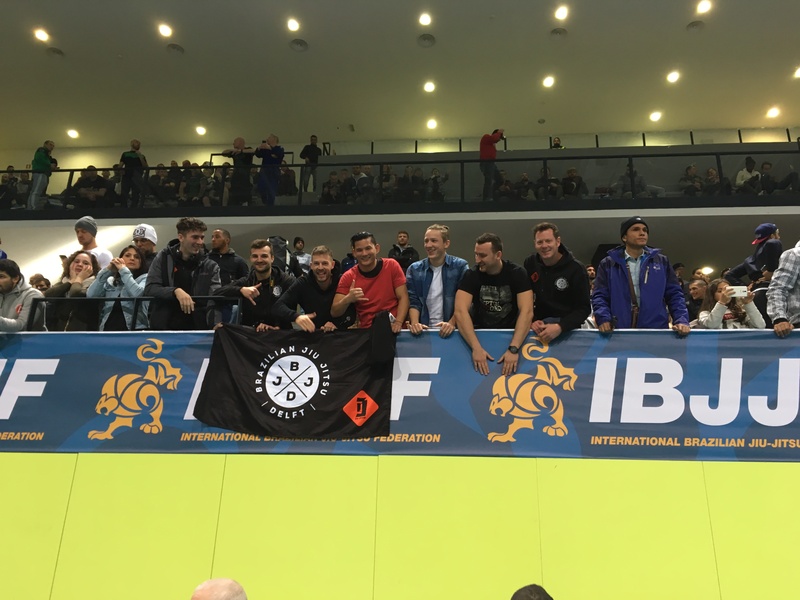 With a group of 4 guys we went to the European Championships in Lisbon. 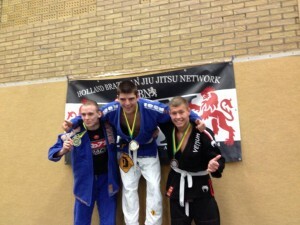 Even though all managed to fight well at European level, it was Danny who brought home a silver medal in his category! 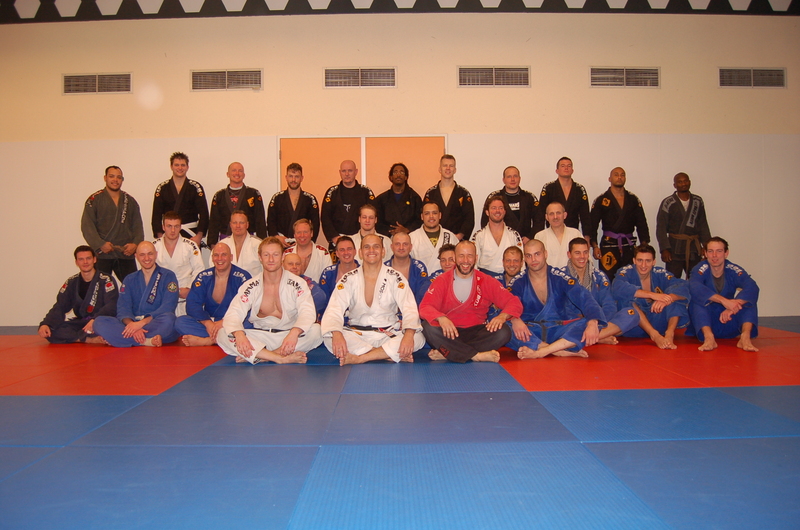 The first seminar of the year with 4th degree balck belt Ze Marcello was a great succes. 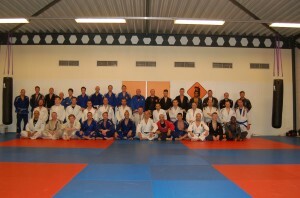 The dutch ICON Schools from Den Haag, Spijkernisse and Delft came together on the mat for this bi yearly event. 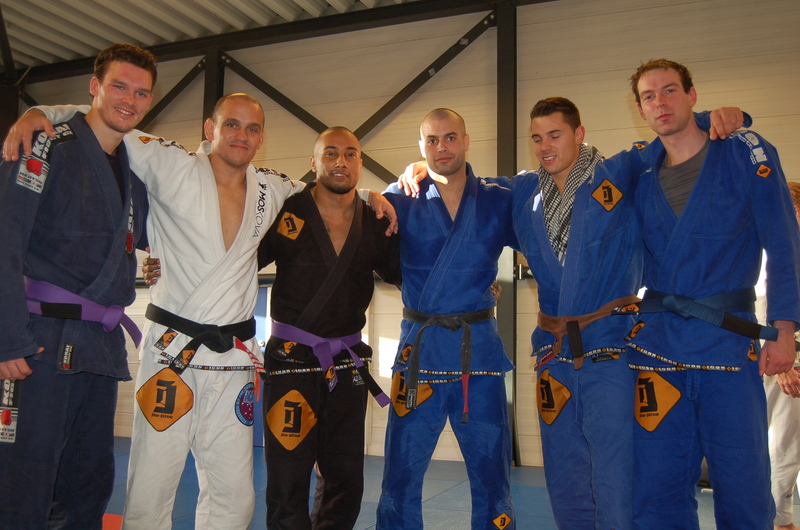 From Delft David and Rodger were promoted to brown belts who have almost spent a decade rolling with us. 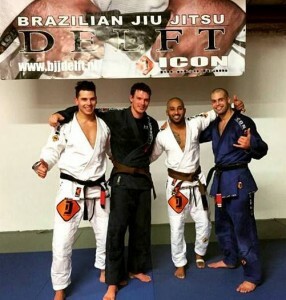 Farzin got the first degree on his black belt. The team is growing and progressing! Rodger accepted a MMA match on an extremely short notice of half a week. As he was supporting another team mate preparing for his MMA debut, Rodger was ready to enter the ring as well. Both fighters had a gameplan that neutralized the fight a bit; Rodger wanted to bring the fight to the ground while his opponent wanted to keep it standing and defended the takedown attempts well. 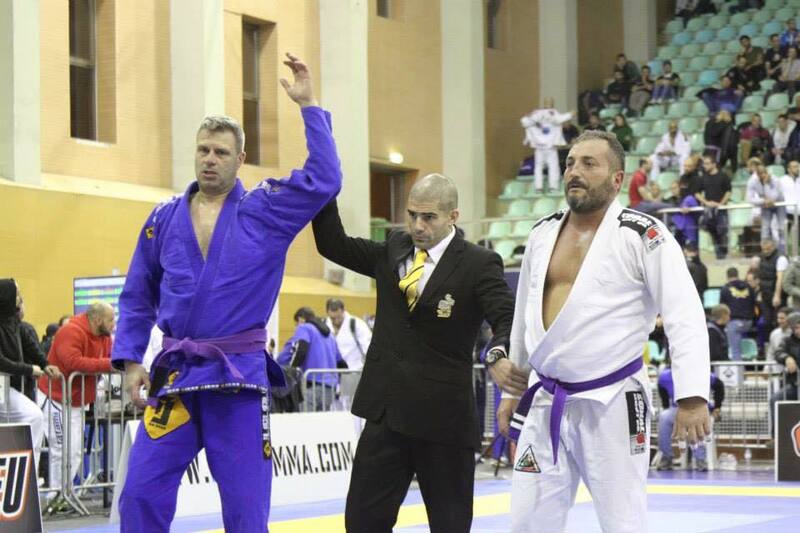 The fight ended therefore in a draw…. 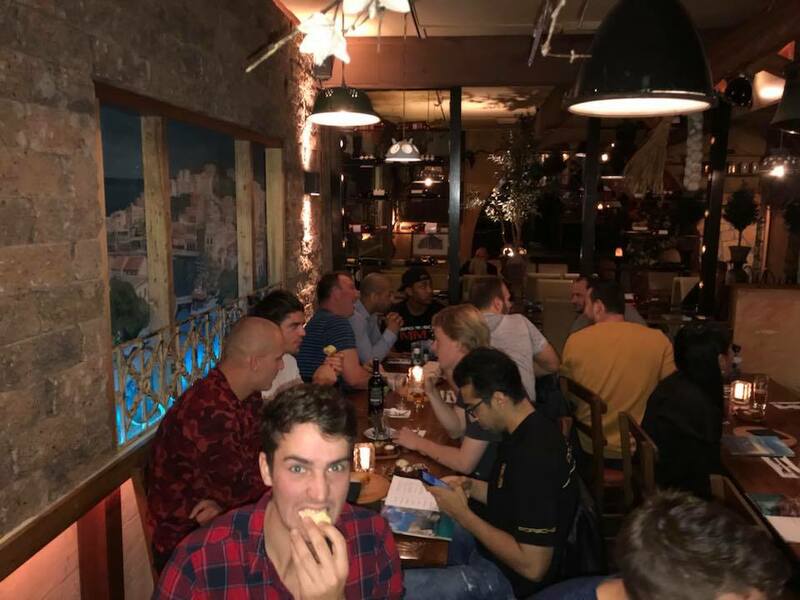 The first ICON in house tournament was organized on the 8th of November. The goal was to give all team mates from Spijkernisse, Delft and The Hague the chance to gain experience in competition under a relaxed atmosphere. 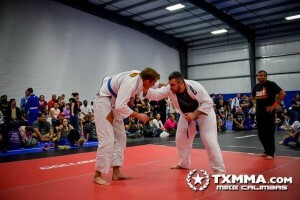 The feedback after the tournament was very positive. The referees could once more practice while looking at some great matches. For sure more in house tournaments will follow! 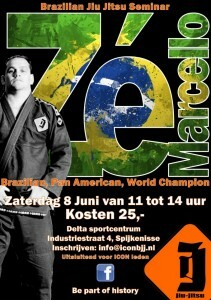 Floris Dekker and myself are extremely proud with the next big milestone for our team Brazilian Jiu-Jitsu Delft – Icon. From this moment we have a new training facility of 200 m2 located at the Scheiweg 2 in Delft that has a permanent tatame of 165 m2! 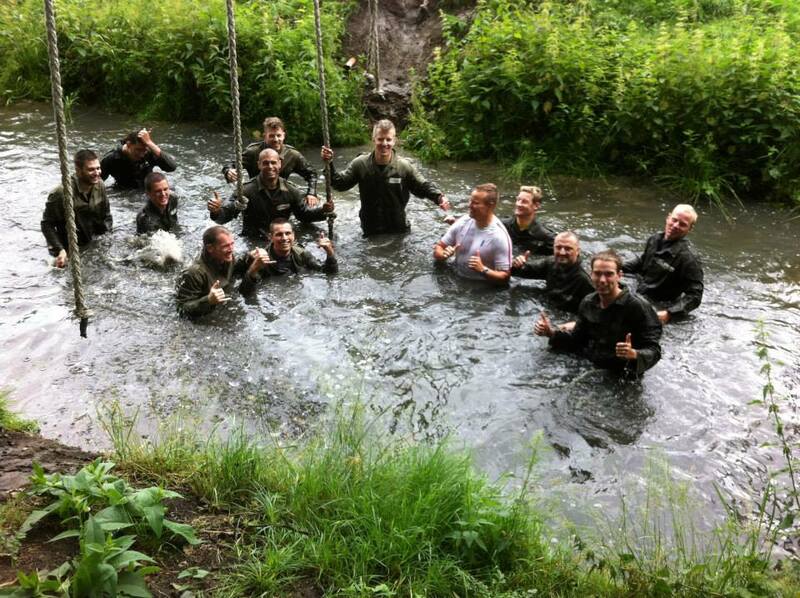 In 2007 a group of friends started to train at a barn in Delft. A basic place with no heating for winter time. 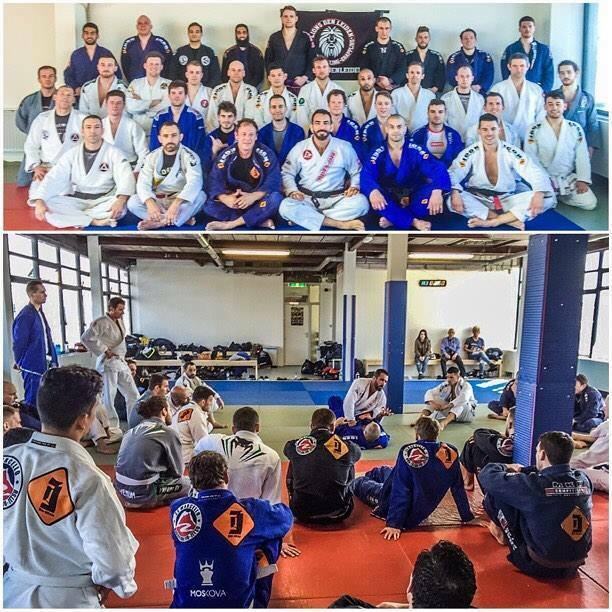 The number of guys joining the trainings grew in time up to the point where we had weathered enough cold winter evenings on the mat. So in 2013 we moved to a heated place at the Brasserskade which resulted in a faster growing number or guys joining. Again in august 2014 we moved to our last location at the Linaeuspad were we could train with up to 20 persons easily. However due to the good training spirit and atmosphere as a result of each persons great attitude, we outgrew that location as well. 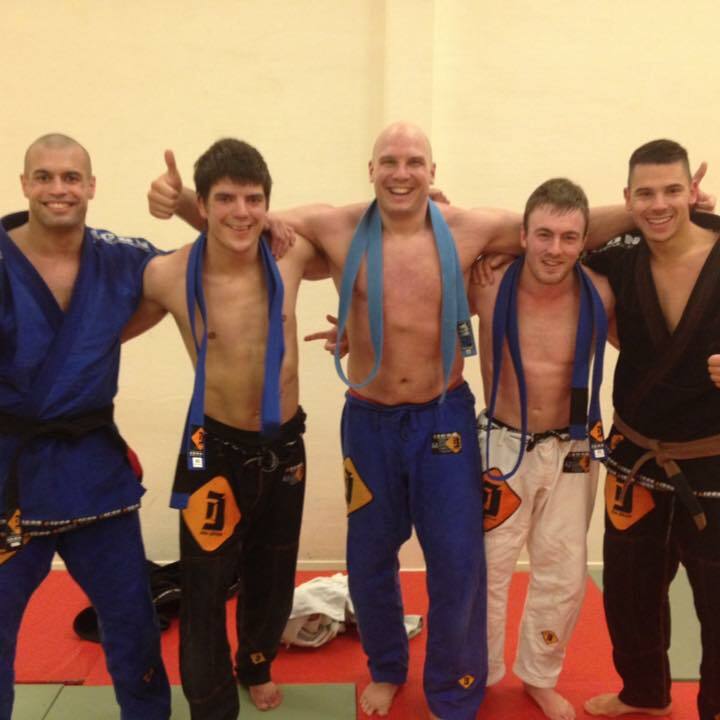 Luckily the time of laying down and picking up the mats each training has now ended! 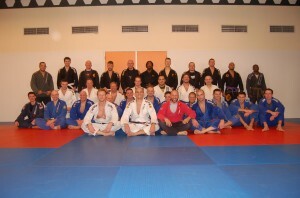 Thanks to each one of you guys that joins the trainings every time again with a great energy. 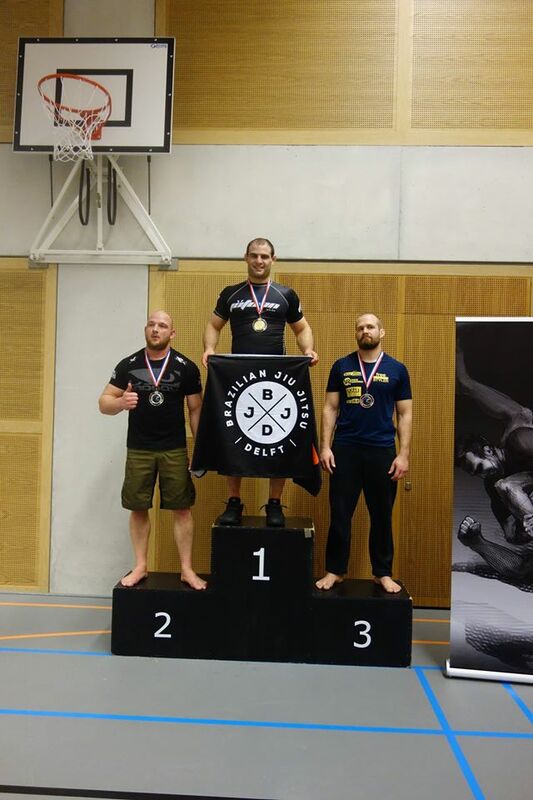 Damien once again managed to win the NK Grappling today. He won 6 matched of which 4 by submission. Great and steady high level performance! a delegation of 3 members of our team headed to Portugal. 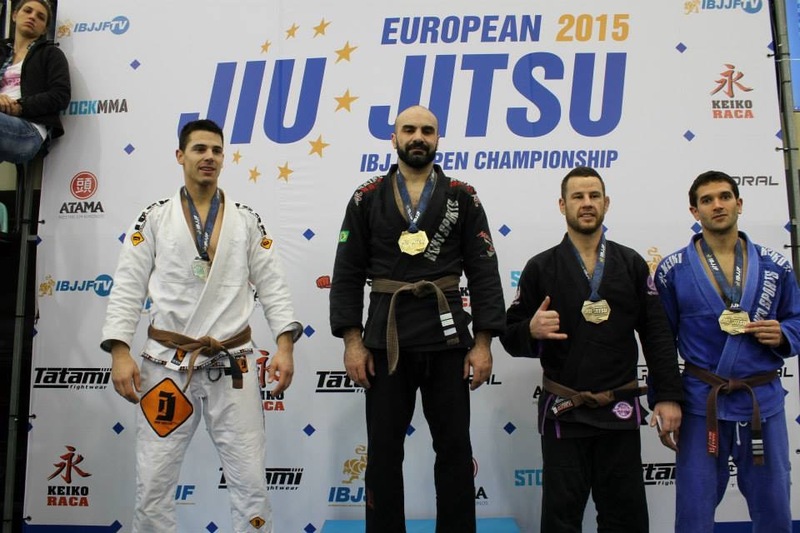 This years IBJJF European Open Championship (2015) broke the record for the highest number of participants ever registered in a BJJ competition with a total of 3,340 registrations according to the last listing of the IBJJF (see the IBJJF’s list of registered participants). Danny is training for one and a half year now with our team and never absent. 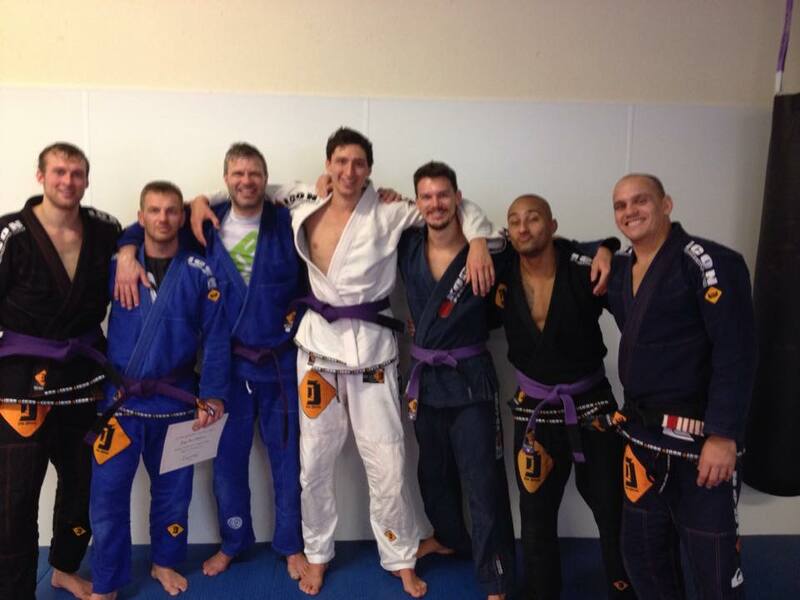 His dedication to the sport and during every single training has payed off with a First Place in his purple belt division! Incredible to have an European Champion in the team. 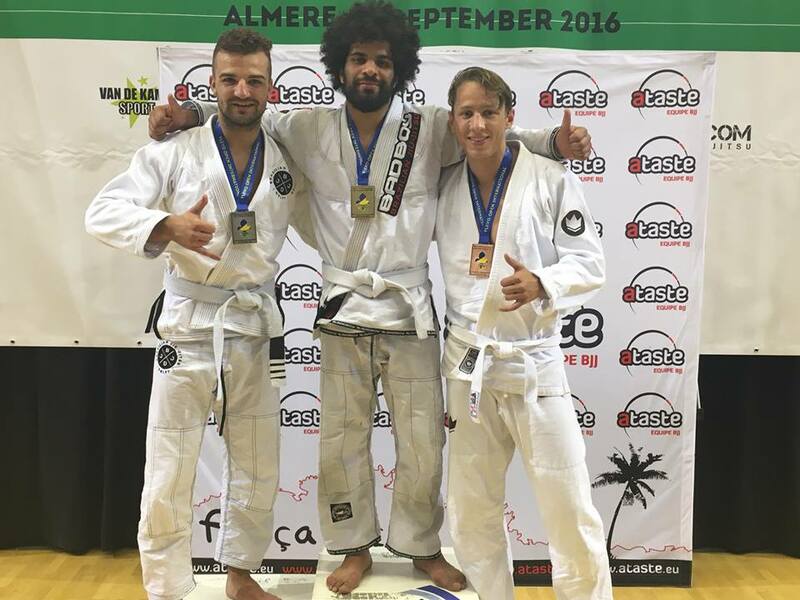 Floris who is one of the team trainers and pushing hisself and the team every single training to the max fought a very solid tournament. 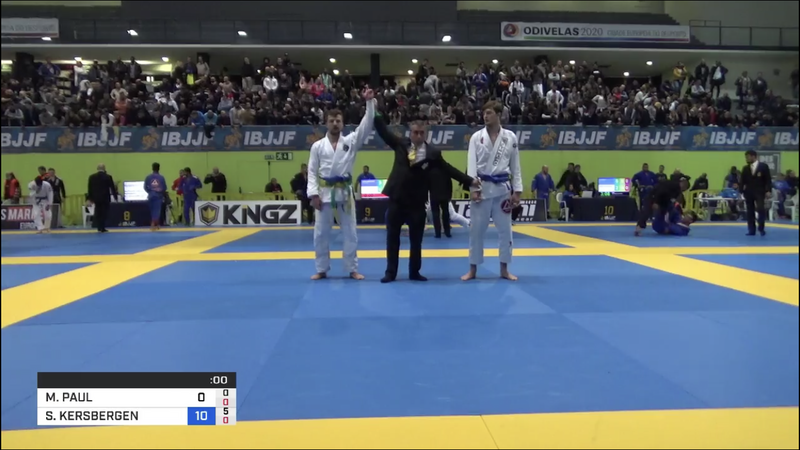 He showed his great feeling for the sport by improvising techniques even during his matches! 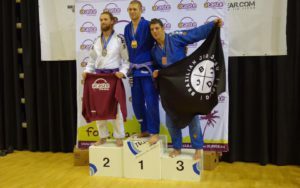 He ended up second place in a strong brown belt division! 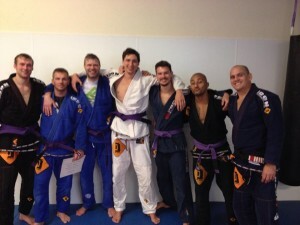 Another great seminar with Ze Marcello to learn some new techniques and ensure our team is on the right track. During the seminar some team mates graduated for their next belt. Great to see the team progressing and getting more colourfull! 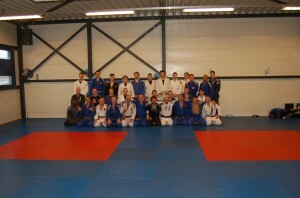 Sunday the 12th of October was the day of the Dutch Open, this time in Nijmegen at a new location. 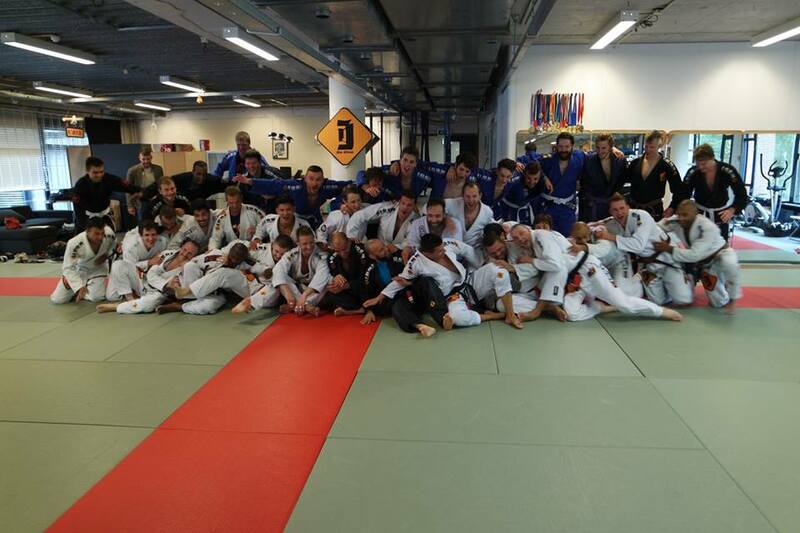 the Dutch Open is always a well organized and high level competition. ICON Delft was present with 7 team members. Danny who inscribed at the senior class was added to the adults as there were no senior competitors, however he still performed solids and showed age is not a limitation to end up first! Great result and inspiration for the team to continue the trend of hard training as it shows to pay off! Rodger and Damian fought at Fight Night Den Haag. Rodger fought his second MMA match. He met a mussled opponent just like himselft. Both connected standup and made some good takedowns. On the ground also both had some good positions. After two rounds of 5 minutes both athletes were dead tired ending the boot in a fair draw after this great performance! 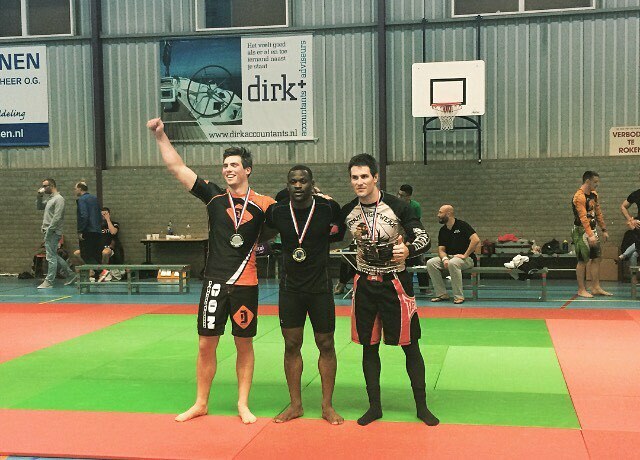 Damian made his MMA debut in the Netherlands. Calm as always he saw and took his opportunities well standing and on the ground. 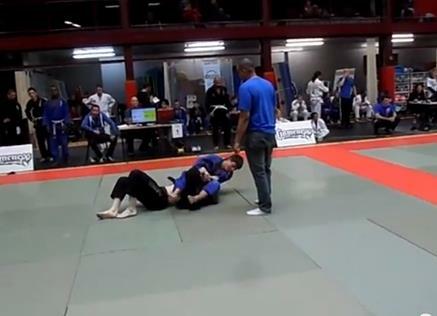 From the bottom on the ground he performed a perfactly timed straight armbar submitting his opponent in the first round. Congratulations with this great performance! 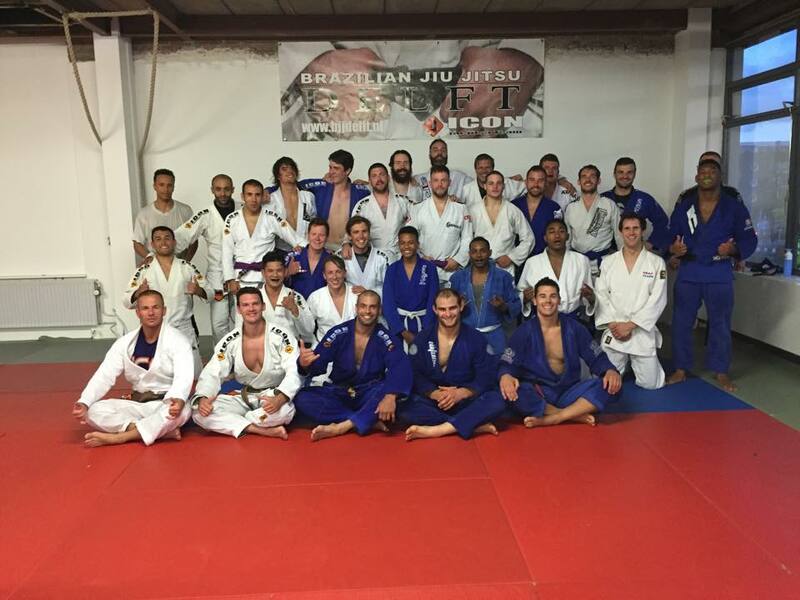 The white belts only was this year expanded to blue belts as well to becom white and blue belts only. For the white belts a great tournament to gain experience as they apply a poule system ensuring 3 fights independant of winning or loosing. 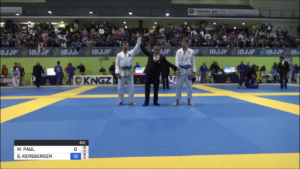 Ernst fought in a strongly represented blue belt class to the second place in a very strong way. Great to have him on stage again! 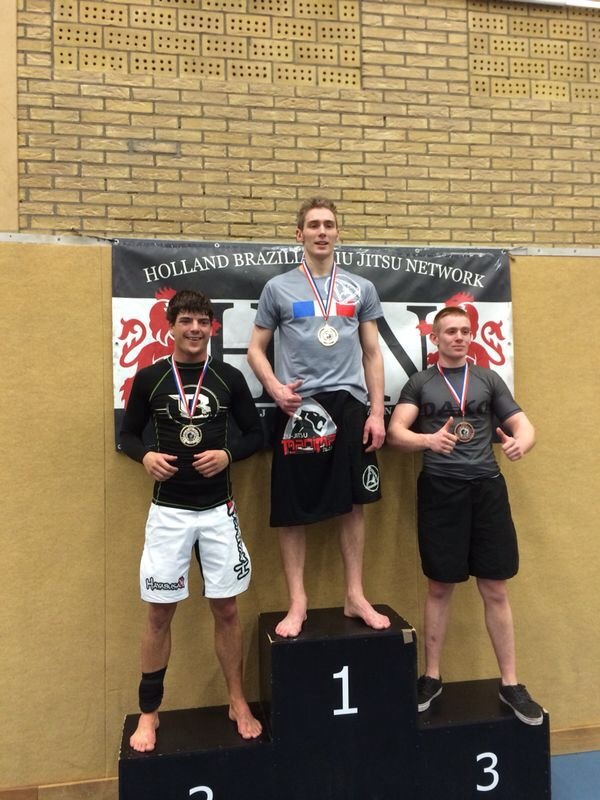 At the Dutch championships grappling in Ede Damian participated in the elite class and won the first place! 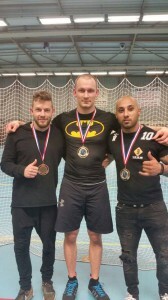 He is on a winning streak and representing the ICON Delft team in Grappling. Damien fought the ADCC grappling tournament in Eindhoven. 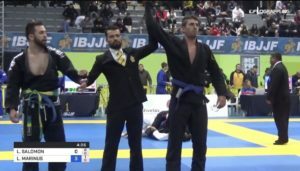 After his second place last year he now won every match by submission to end up FIRST! 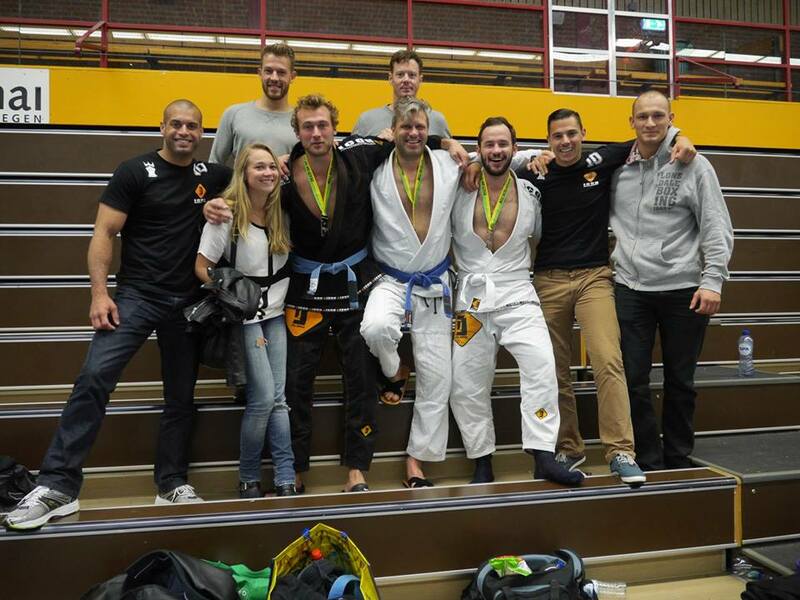 At the holland BJJ challenge in Rijswijk our team participated again to keep the competition feeling and pace fresh. 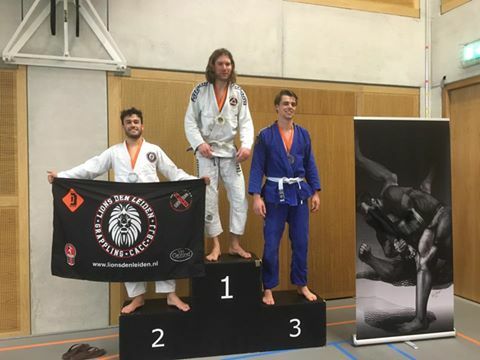 Zondag 16 februari begon het seizoen met de holland grappling open in Rijswijk. Wel eens lekker om dicht bij huis te kunnen draaien op een toernooi, dus deden aardig wat jongens mee. 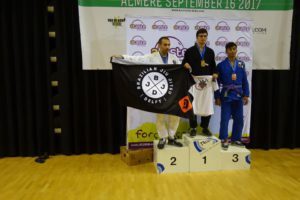 Voor een aantal met als doel om te beginnen met grappling wedstrijden en voor de meer ervaren jongens om te gaan voor een podium plek. Kalle werd bij de beginners na een sterk toernooi te draaien tweede, na gelijk te eindigen in de finale en nipt te verliezen op beslissing. Conrad die zijn eerste wedstrijd ooit draaide werd knap derde bij de beginners. Damien en Ernst kwamen uit in de gevorderde klassen e pakten de tweede en derde plek. Damien moest in de finale helaas opgeven wegens een rib blessure die hij in zijn eerste partij had opgelopen. Zaterdag 12 december was het weer tijd voor een seminar met onze hoofd trainer van ICON en voormalig wereld kampioen, Ze Marcello. Twee keer per jaar wordt een seminar georganiseerd om techniek bij te spijkeren, te socialiseren en examens af te nemen. De seminar was wederom een succes. Tijdens deze seminar zijn we in Delft weer twee paarse banders en een blauwe band rijker! 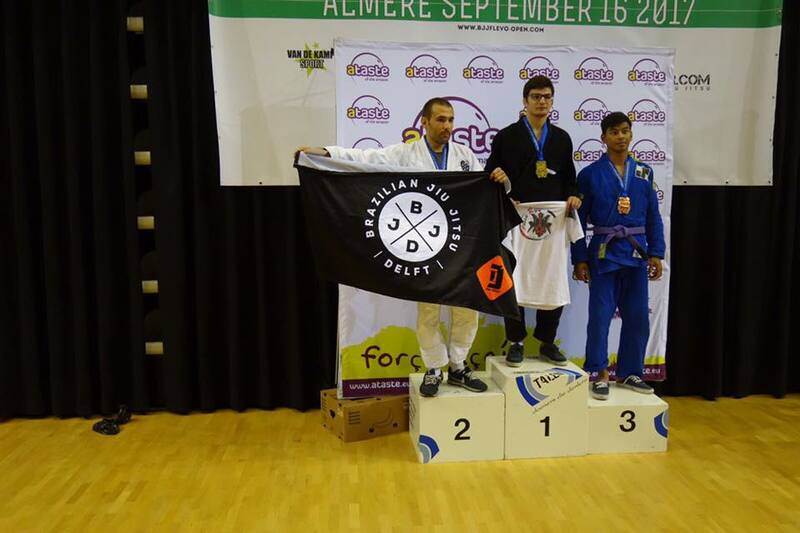 ADCC is a well respected organization in submission wrestling / grappling competitions. 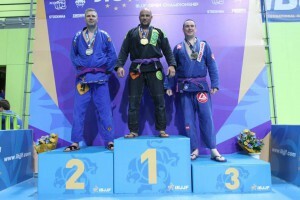 The organization has started competitions all around the world besides the famous ones in Abu Dhabi. 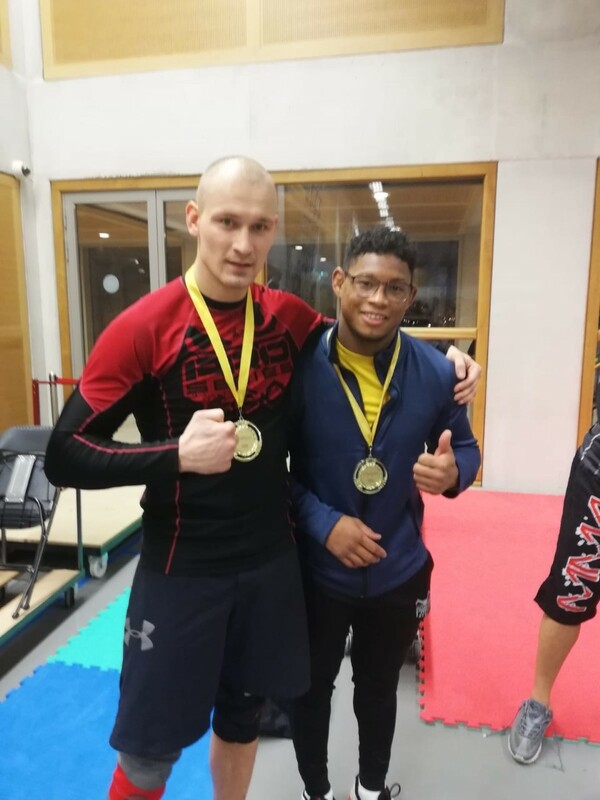 Damian competed Saterday in Eindhoven and got second in high weight class after winning on submission with two flying triangles and a brabo choke and unfortunately losing the finals. De Dutch Open is altijd een goed bezet trounooi van hoog niveau. Dit jaar deden er vijf jongens mee van ICON Delft waarvan Damian zich knap naar de finale wist te vechten door all partijen ruim binnen de wedstrijd tijd te winnen op submission. 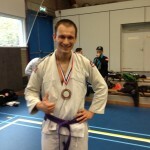 Helaas verloor hij de finale en werd toch mooi tweede bij de purple belts! Een van onze talenten, Ernst, heeft tijdens zijn stage in Houston Texas zijn trainingen niet laten verwateren, maar juist een schepje er bovenop gedaan. Hij is dagelijks gaan trainen bij Rilion Gracie Academy en heeft meegedaan aan de Texas Open op 15 november. 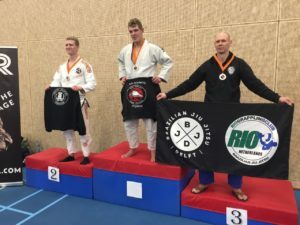 Wat is er mooier om dan een bronzen medaille mee te nemen! Een prestatie waar we met zijn allen trots op zijn! 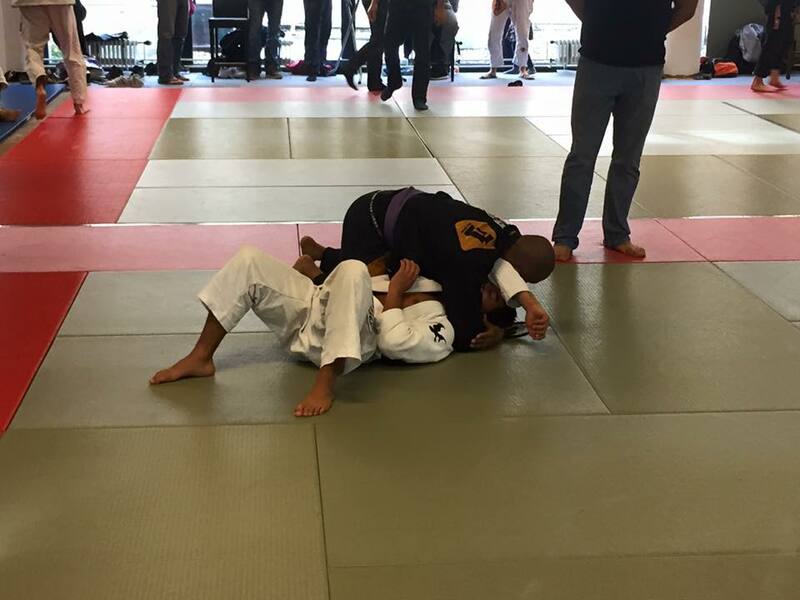 Bedankt om voor ons team uit te komen in de US en dank aan de Rilion Gracie Academie voor de gastvrijheid. 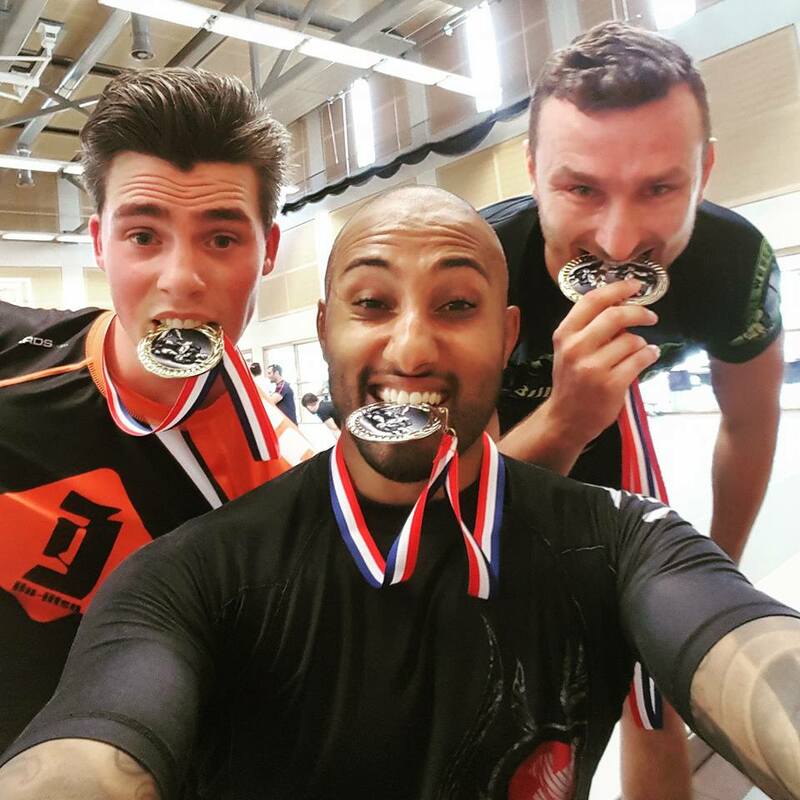 De Amsterdam Open was een succes met vijf jongens van ons team die meedraaiden en drie die naar het erepodium wisten te vechten. 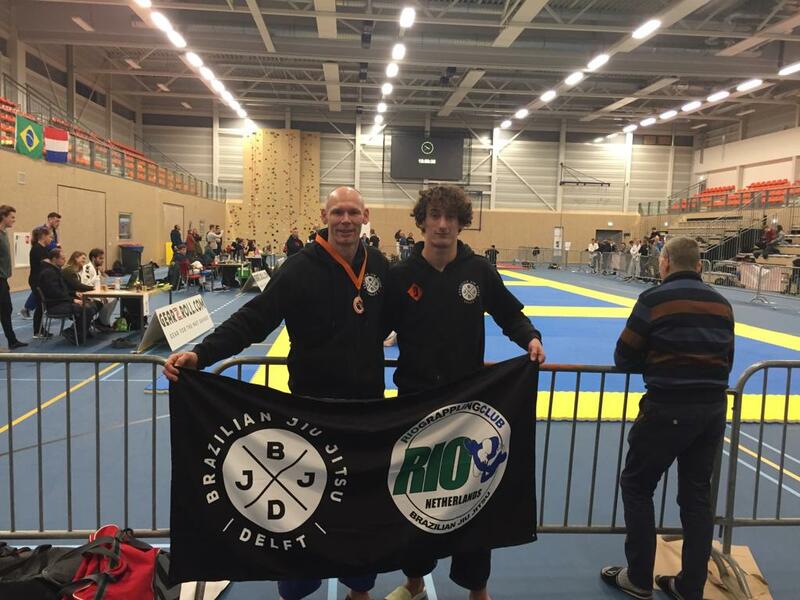 David draaide solide als altijd en werd derde bij de blue belts, Damian deed het verrassed goed na een periode van weinig trainen en werd ook derde bij de purple belts. 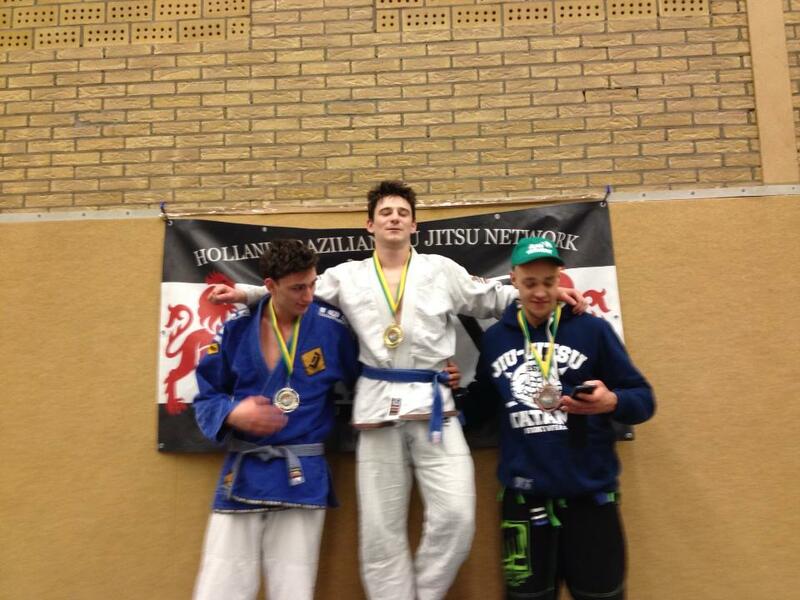 Rodger had zijn focus terug gevonden en vocht knap naar de eerste plaats in de blue belt klasse! Mooie prestatie…ook voor degenen die niet in de prijzen vielen. 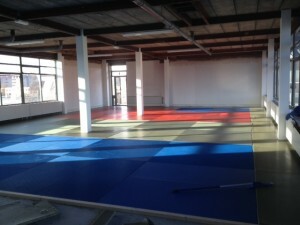 Nu het herfst wordt en de locatie in Delfgauw toch erg koud kan zijn, is er voor de BJJ lessen van maandag en woensdag gezocht naar een nieuwe trainings Locatie in Delft. 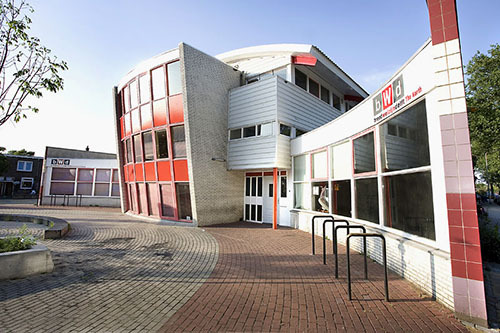 We hebben een geschikte nieuwe zaal gevonden in het buurtcentrum Delft Noord op de Brasserskade, die vanaf maandag 13 oktober in gebruik is genomen! 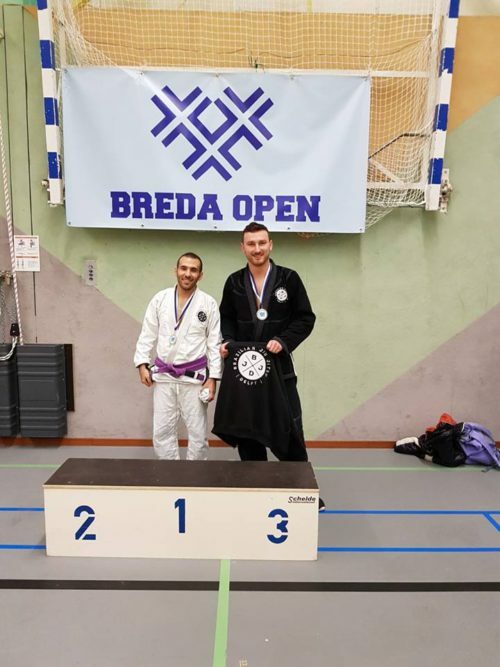 Laat de winter maar weer komen…..
Zondag 12 oktober deden Kalle en Damian mee met de Limburg Open. 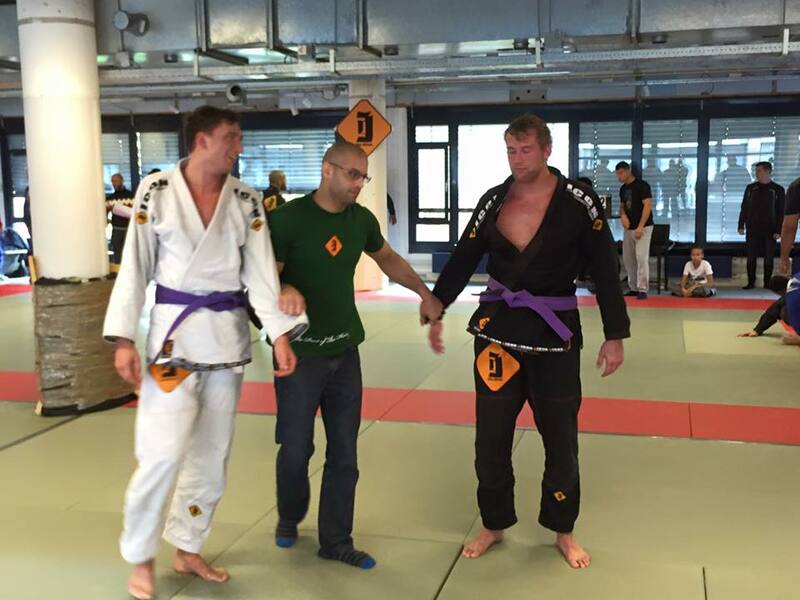 Kalle bij de white belts en Damian bij de purple belt klasse. Kalle werd derde en Damian tweede na een te betwisten diskwalificatie in de finale. 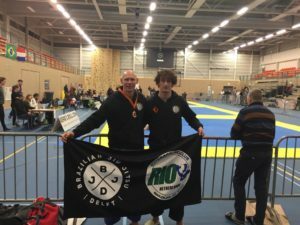 Zondag 23 juni werd er een training georganiseerd door ons team uit Spijkernisse bij de Van Ghent Kazerne in Rotterdam in samenwerking met instructeur Jasper: anderhalf uur BJJ training in de dojo en daarna hindernisbaan training! Vanuit het ICON team in Delft waren we met zijn vijven aanwezig, want zo’n kans mag je natuurlijk niet missen. Samengevat een te gekke ervaring en helemaal kapot! De seminar met Ze Marcello was wederom een succes. Ons ICON team in Nederland is duidelijk aan het groeien en zowel jongens uit Spijkernisse, Den Haag en Delft waren aanwezig om weer een aantal interessante technieken te leren van Ze en getuige te zijn van de nodige graduaties. Buiten bovenstaande een goede gelegenheid om weer eens met de jongens de rollen van andere ICON scholen. 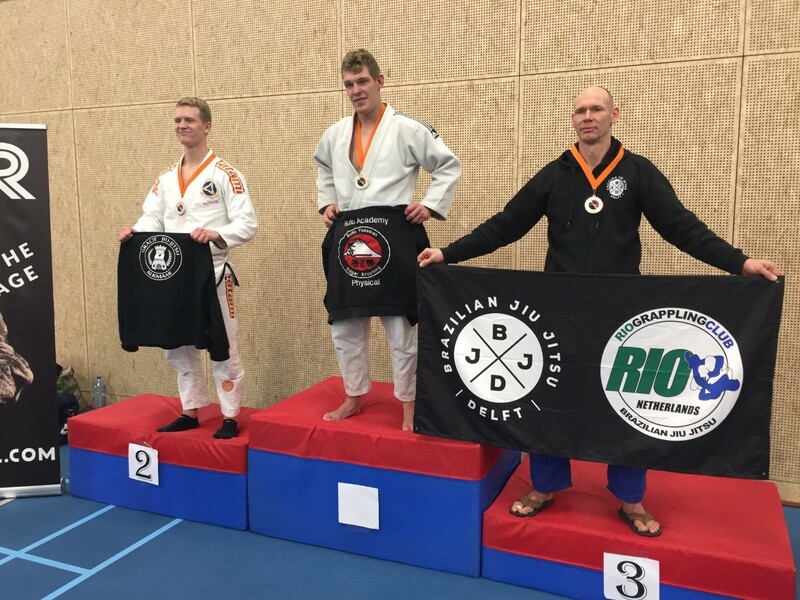 Voor een aantal witte banders was het tijd om kennis te gaan maken met de wedstrijd sport BJJ. 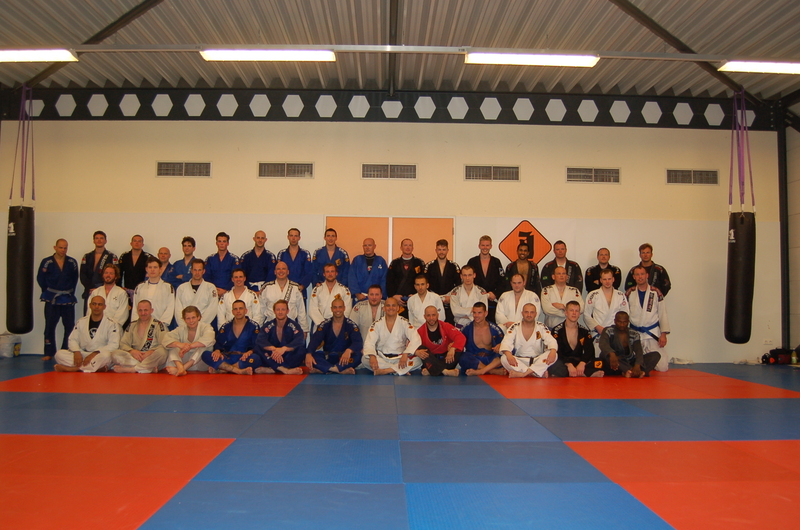 Het tournooi White Belts Only was hier uitermate geschikt voor. 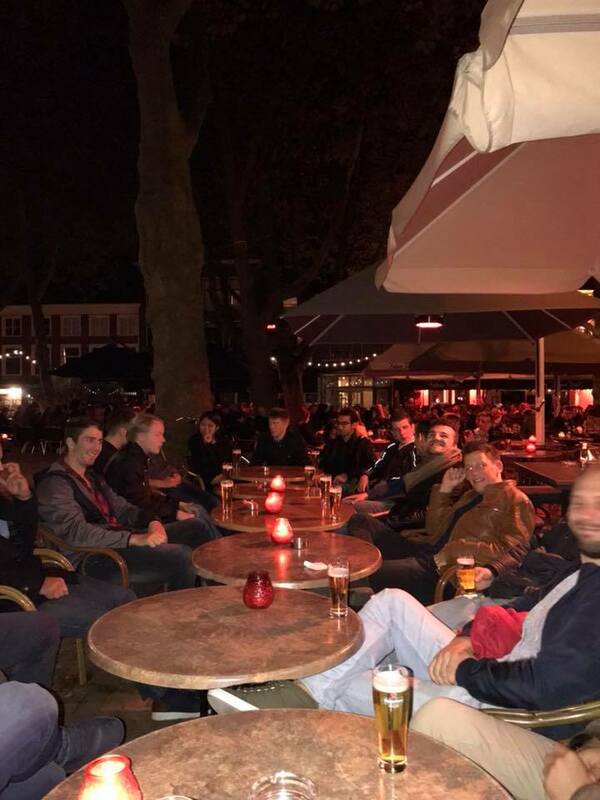 Kevin, Kalle, Syd, Malte, Jak, Jiun en Niels deden mee van ICON Delft met als doel een te kijken hoe het is om wedstrijden te doen. 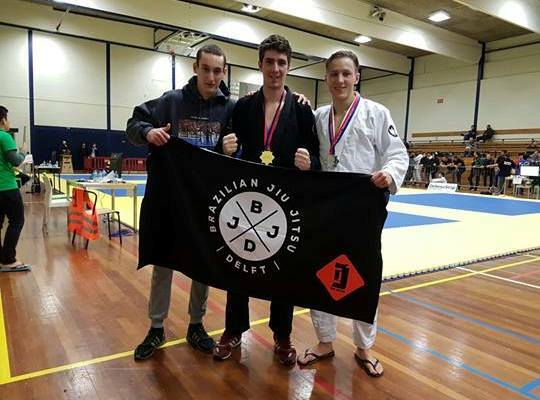 Het is toch altijd anders dan sparring op de mat tijdens training omdat je gespannen kunt zijn, andere jongens tegenover je hebt die je nog niet kent en taktiek ook om de hoek komt kijken. De jongens draaiden lekker en door het poule system konden ze meerdere partijen vechten ook al win je niet alles. De jongens hebben lekker gedraaid en laten zien dat er veel talent aanwezig is. Helaas geen prijzen, maar kampioen wordt je niet zomaar en moet je naar opbouwen waarvoor dit een eerste stap is. 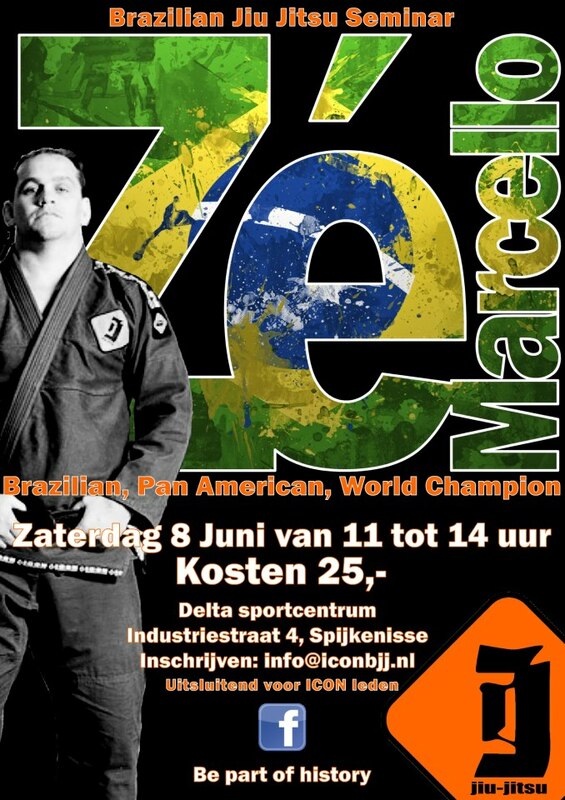 Zaterdag 8 juni zal Ze Marcello een seminar komen geven voor ons team in nederland. Tijd om ons assortiment aan technieken te vergroten en het team weer te versterken. Het is een “in house” Seminar en zal alleen toegankelijk zijn voor ICON team members. 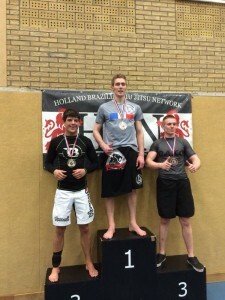 Zondag 17 februari vond het Amsteredam Grappling Tournament plaats. 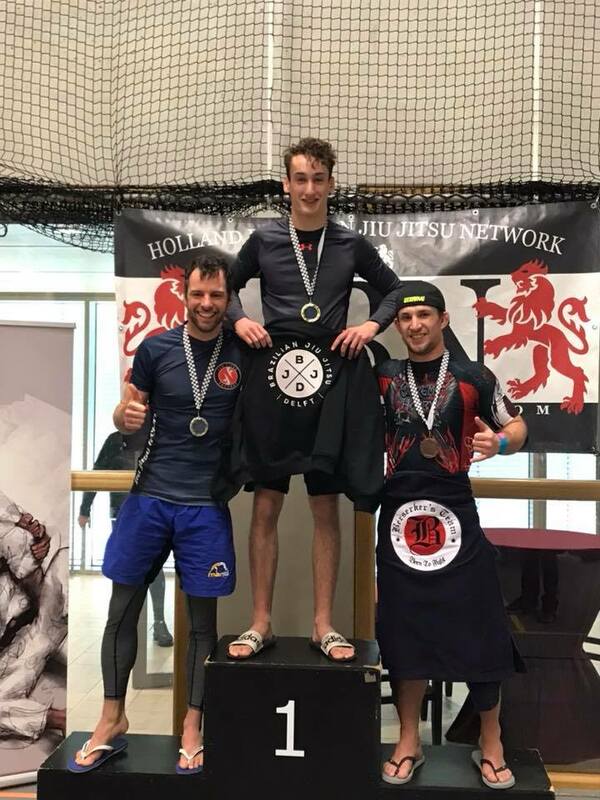 Een aantal jongens deden voor het eerst mee met een Grappling wedstrijd waarbij de kimono wordt ingewisseld voor een rashguard en short. Ook zijn er meer beenklemmen, kneebars en ankle locks toegestaan. Hier moet je er meestal even aan wennen aangezien de grippen en regels iets anders zijn. Toch wisten de meesten lekker mee te draaien. Damian pakte zelfs in de advanced -91 een tweede plek. Zaterdag 24 november had ICON Jiu Jitsu Nederland een seminar georganiseerd met Ze Marcello. 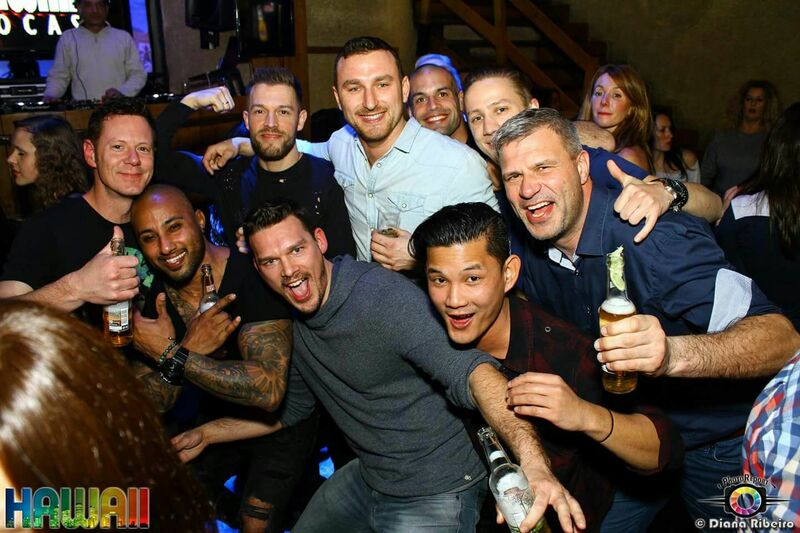 Dit was de eerste officiele seminar van het onlangs opgerichte ICON Team in Nederland. De seminar was een succes met een opkomst van ruim 30 man! Tijdens deze seminar heeft Floris zijn wel verdiende bruine band ontvangen.